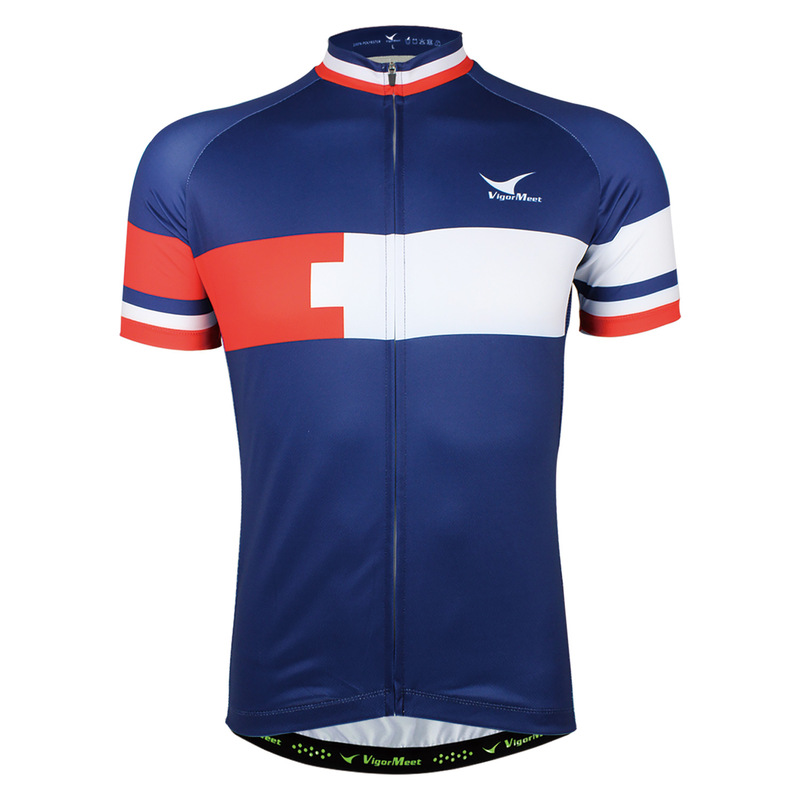 FOR JERSEY: Scientific combination of two different fabrics on one jersey to provide comfortable wearing experience when cycling. The moisture wicking fabric under arm for the side panels is the core of the whole cooling system. REFLECTIVE PATTERNS on the back panels give strong visibility when cycling. 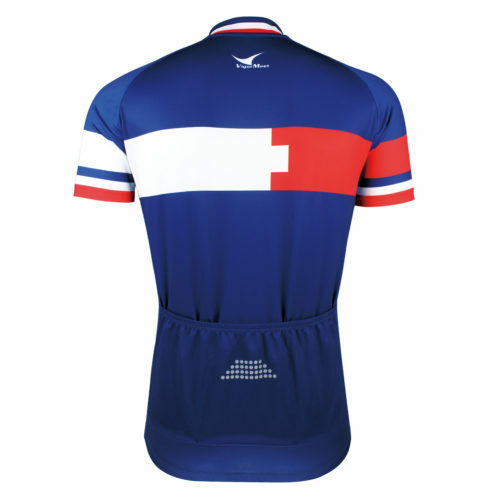 RUBBER GRIP – Rubber grip at the bottom keeps the jersey from riding up. BACK POCKETS – Three back pockets with comfortable elastic band but not tight which is easy for putting in and taking out. 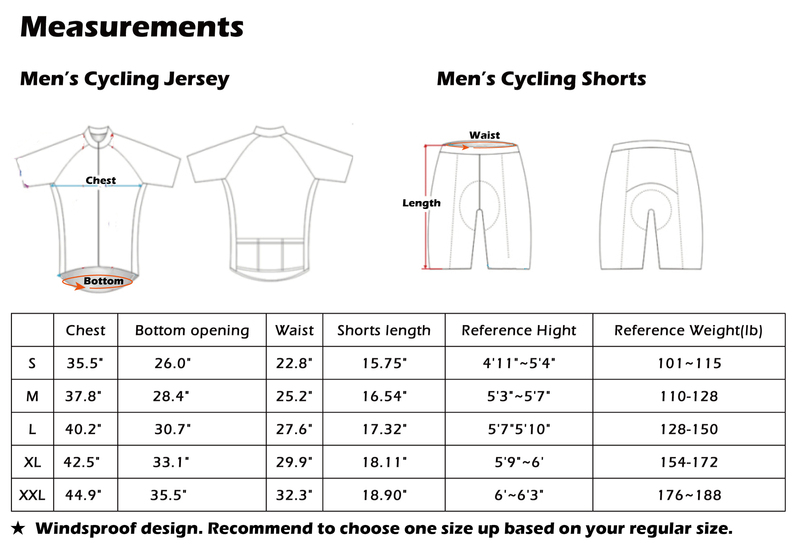 FOR SHORTS : NYLON LYCRA – It is with strong elasticity to ensure the comfort when cycling but also provide enough compression to protect the muscle. ANTI-SLIP – Specially designed shorts’ bottom can keep the leg from riding up, but without rubber grip. Comfortable ! 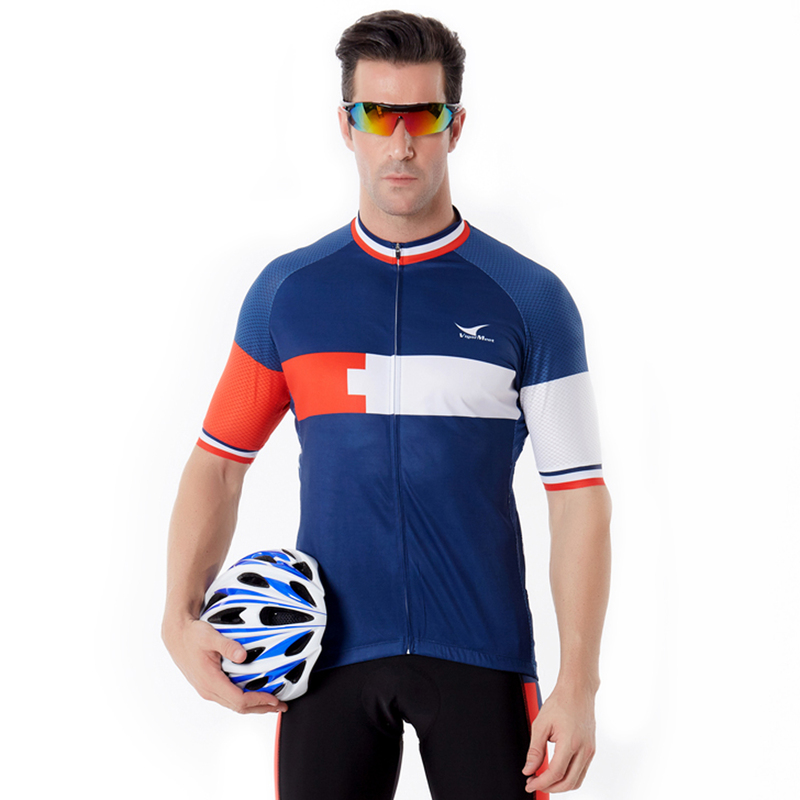 3D CYCLING PADDED – Professional cycling pad is breathable and endurable. Wide soft edge decreases friction along the inside of thighs. Antibacterial treatment on the surface of the pad makes the cycling journey more comfortable and confident. SOLID SEWING – All Vigormeet sportswear are using elastic thread with sold flat sewing. FABRIC COLOR FASTNESS GRADE 4 – Bright color comes from Italian MANOUKIAN ink, and it is healthy, breathable, and fadeless. 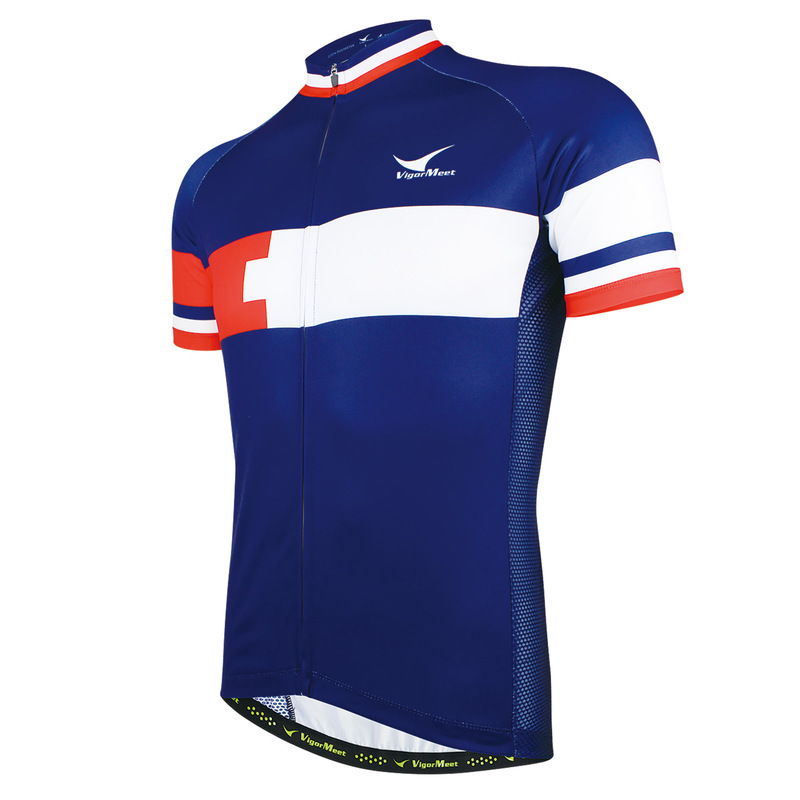 In this listing, Jersey&Shorts are sold separately. If you want them both, please add both of them into cart. 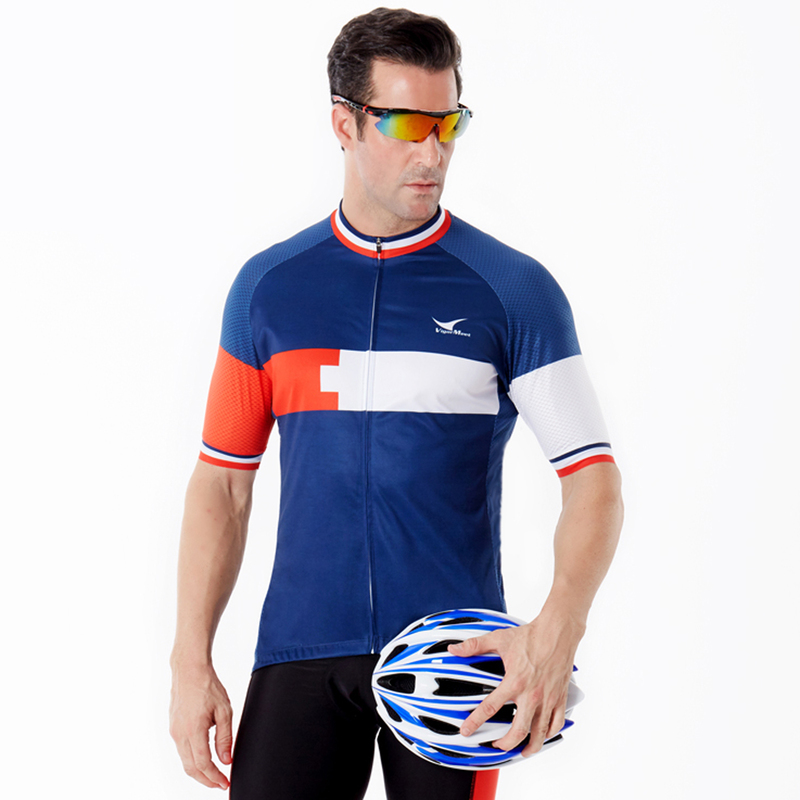 – Rubber grip: Keep the jersey from riding up. – Three back pockets: Store phones, keys and etc. – Sublimation Printing: MANOUKIAN ink provides bright color and fadeless. – Solid Nylon Lycra-High elastic but also compressive to protect the muscle. – Anti-slip Design on the opening on the leg.